The secret Father Manny Gonzalez, pastor of Our Lady of Mount Carmel Church, kept for over 20 years had clearly caught up with him when he is found shot dead in his parish rectory. His childhood friend, Lieutenant Ryan Condon, commander of the NYPD Bronx Homicide Squad, seems determined to have the priest's killer brought to justice. The stakes are raised when an unyielding Latina detective, Toni Santiago, begins to suspect the lieutenant's involvement. 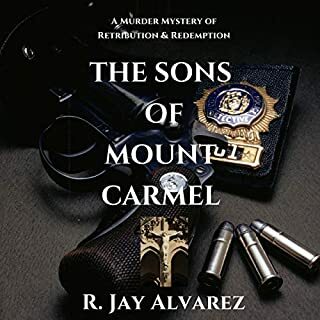 The Sons of Mount Carmel delves into themes of faith, trust, and atonement, exploring the consequences of past choices. I don't normally like series because I don't have the patience but this series surprised me. It's more like binging on a boxset. I feel like I know the characters and I care about what happens to them.